Well, there are a couple problems I’d like to point out first. Stem cells are baby cells that are able to turn into any specific type of cell in the person, or in this case, flower. I don’t see any medical or scientific reason to use rose stem cells, at all (if anyone knows of a reason to do so, please let me know! I am not a dermatologist). Unless you want flower cells on your face. If this had human stem cells in it, I would pay an exorbitant amount of money to use it, because those would actually turn into very youthful skin cells. Rose extract is very soothing, so this isn’t without functionality, just not as much as it would claim to have. When I used this, it didn’t seem all that hydrating. I used the whole package and left it on overnight, but once I woke up, I found that my skin didn’t feel softer or look brighter. I know most masks don’t have drastic immediate effects, but most have some topical “my skin feels softer, now” immediate benefits. I’m also pretty sure PTR tests on animals. I vote NO for a stupid idea, and using pseudo-science. 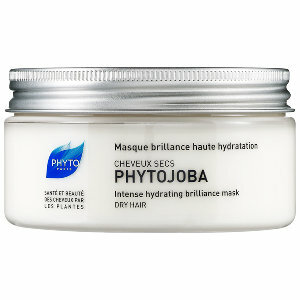 Through a promotion on Sephora, I got a deluxe sample of this mask, and I’ve been able to use it a few times, now. I’m not really sure what it’s supposed to do. It is meant to “wake up” tired skin, which seems to be imprecise adjectives to me. I didn’t hate this, but didn’t do much. Perhaps I’m not a person whose skin is tired, as I frequently use a myriad of products on it. It must have whiplash. I wouldn’t recommend using this product just because I didn’t notice much change, but if you feel you have dull skin, it might might do something. Props to Origins as a company for being cruelty-free and using safe ingredients. This is for your hair. Hair needs some love, too. I got two samples of this, so I got to try it paired with two different shampoos to make sure the effects were not a fluke. I liked this, but not as much as another mask I’ve used from LUSH. It was very pleasant, though. I didn’t notice a huge difference, but my hair seemed healthier and smoother the next day. If you have damaged hair, try it out. I like Phyto, I have shampoo from them that I like a lot.